Palermo is the largest neighborhood in the city of Buenos Aires. Commercially, it is divided into several areas with well-defined characteristics, but it is the neighborhood with the highest quantity of squares and parks in the city, and therefore a lot of sports are played here. The best thing about renting a room in Palermo is that you have many sports and recreational activities to do in the parks; also, the apartments stand out for being luxurious and modern, particularly along Figueroa Alcorta and Libertador Avenues. You can also find older houses and apartments with stylish rooms in the area of Palermo Viejo. As far as cuisine is concerned, the Palermo Vivo area has restaurants that are very select and quite expensive, and in Palermo Viejo you can find trattoria-style restaurants with very experienced waiters that offer quality service. In terms of transportation, it is a very well-connected neighborhood. Santa Fe Avenue has many different bus lines that pass through it, in addition to the Line "D" of the subway and the Mitre and Ex San Martín train lines. Sunny & single room with private bathroom and Cable TV to rent in a very nice apartment in Palermo. Cozy and quiet single room with private bathroom to rent in a beautiful house in Palermo. 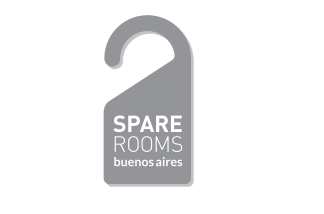 Cozy single room with cable Tv located half block from Las Heras Avenue. It’s an apartment inside a house, in the most residential area of Palermo. Sunny & private room to rent in a very nice apartment in Palermo, just 2 blocks from Alto Palermo Shopping Center. A spacious and bright apartment, only 4 blocks from Palermo Hollywood. 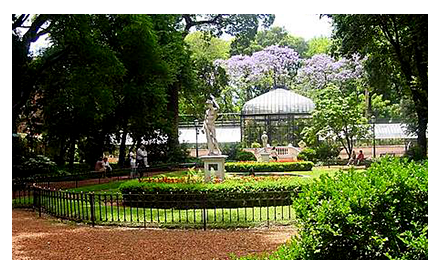 A beautiful and huge garden in a house located in the heart of Palermo. The perfect combination between daylight peace and hectic night life! Ideal location because of it´s connection through different means of transport with the rest of the city. A spacious and bright apartment, it’s located just 4 blocks from Palermo Hollywood. A very nice room with private bathroom, just one block from Alto Palermo Shopping Mall.